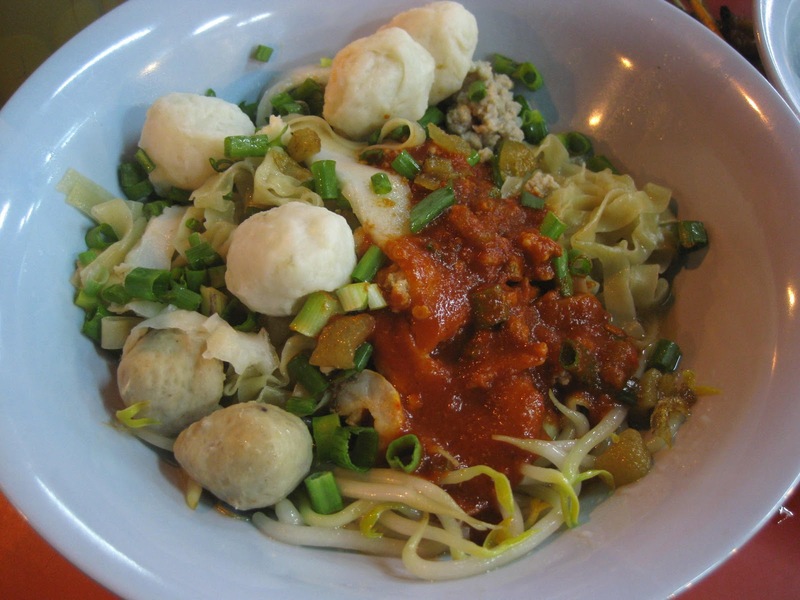 If you enjoy Teochew noodles, then you must have tasted noodles like kway teow th’ng, flat rice noodles in clear soup and mee pok tah – dry-tossed, thin flat noodles, prepared by Tan Keng Ngiap in Johor Baru. Trading as Choy Ngiap, Tan has been serving delicious Teochew noodles in a corner shoplot at No. 39-J Jalan Ah Siang, close to the Jalan Ibrahim Sultan end of the Inner Ring Road since 1998. Parking space along Jalan Ah Siang is limited but fans of Choy Ngiap noodles fearlessly compete with trucks and building construction obstacles while the nearby Sultan Iskandar Building [that houses the Customs, Immigration and Quarantine complex] was being built, just to enjoy a taste of their favourite noodles. 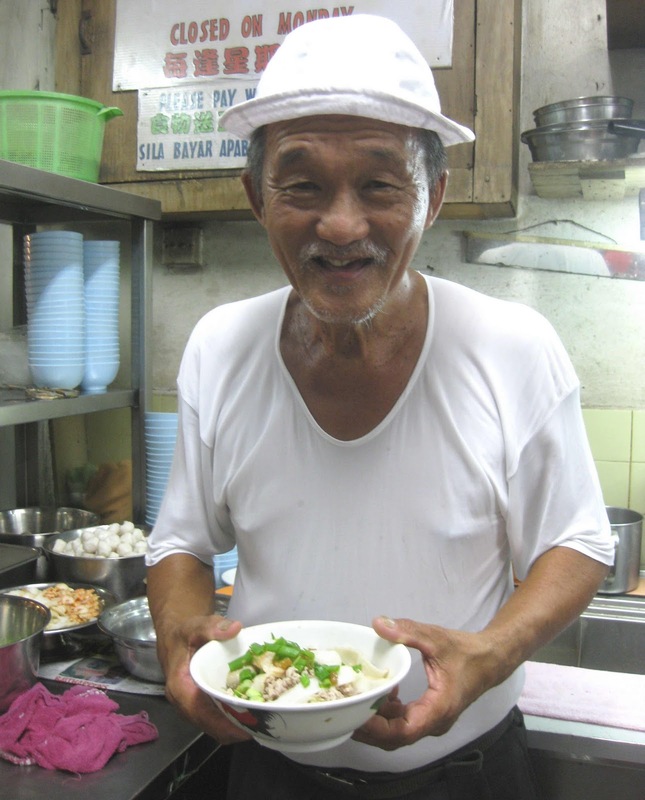 In the last 53 years, generations of loyal customers have been enjoying his Teochew noodles that are prepared in recipes that remain virtually unchanged over the years. His noodles, known to locals as “Lao Di kway teow” is a recipe from his old neighbour, fondly called “Lao Di,” a Teochew endearment meaning “younger brother.” The partnership started in 1959 when Lao Di asked Tan to help him with his noodle business and they started trading as Tong Yuan Restaurant at Jalan Siu Nam, a site now occupied by Top Hotel. After about eight years, they moved their business to Chuan Fan Restaurant. 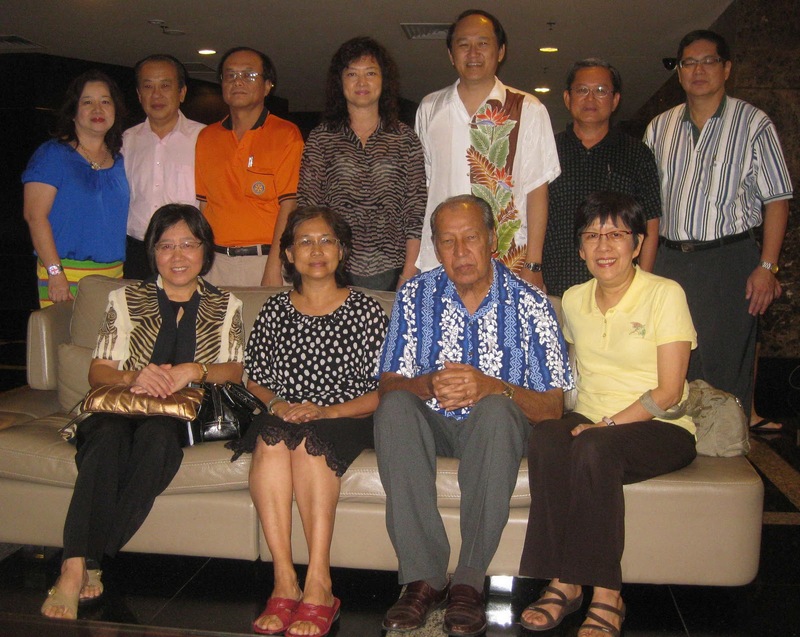 In 1987, Tan set up his own stall at Jalan Bukit Meldrum and in 1998 he moved the business to Jalan Ah Siang. As in all noodles, the success of the dish lies in its sauces and soup preparation. Tan uses this closely guarded recipe to prepare tasty soup stock for his famous noodles. This rich broth continues to be enhanced with natural flavours as he cooks fresh meat and prawns in the boiling broth and briskly serves up individual bowls upon receiving orders. Tan, a father of three – a son and two daughters – has his fair share of challenges as a food trader. He is on his feet at his “live” cooking station for hours every evening, except on Monday. 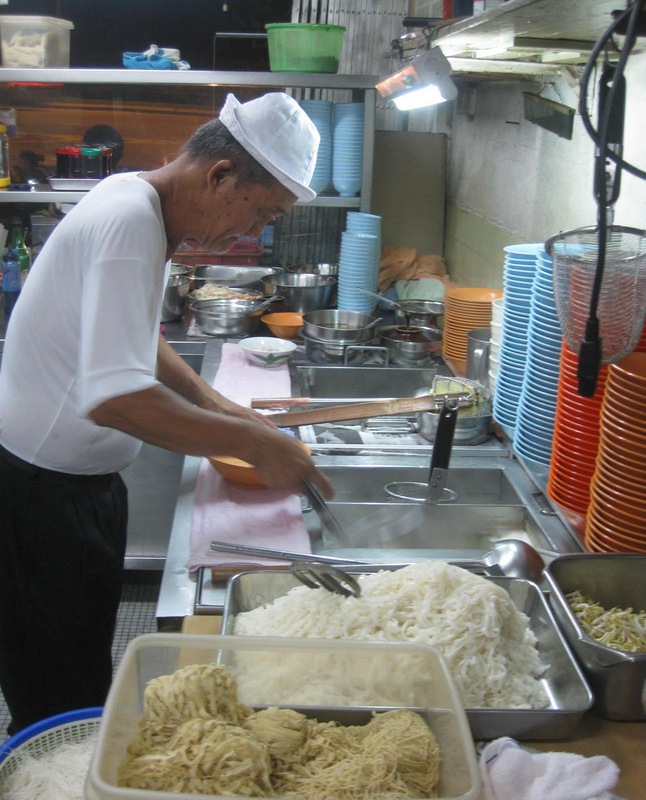 While he does the cooking, his children helps him at the stall, taking orders and serving steaming bowls, often in a non-stop pace at peak dining hours. 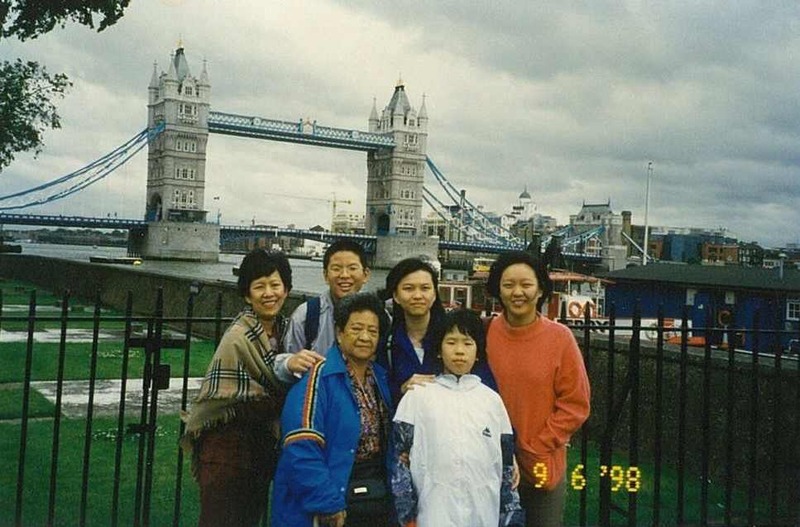 One of Tan’s most traumatic experiences must be that morning in 1999, after he sent his two daughters to school. As usual he went for his regular morning exercise before going to buy fresh ingredients at the market for the evening’s business but he was attacked by robbers and suffered serious head injuries. With resilience and a great deal of courage, Tan recovered from this horrifying experience and went on with his business as usual. Now at age 68, Tan says that it’s time to retire – and he’s not joking. This is cause for concern because when he stops his business, fans of his noodles will certainly miss him and the familiar taste of his noodles. His daughter, Penny Tan Joo Hui, 27, said one of the reasons he’s stopping is because his children want to pursue their own careers. Then Tan will not have enough help in their business. While Tan accepts the fact that his children may not share a similar interest in the noodle business, he is also ready to take a break for now. 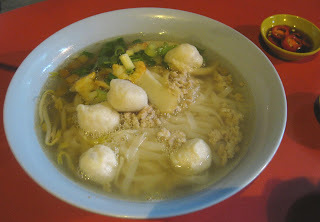 If you are a fan of Choy Ngiap noodles, I hope you had the opportunity for a final taste of his delicious Teochew noodles before the year was over. That’s because Saturday, 31 December 2011, marks the day when Tan will hang up his chopsticks and close his noodle business. Fans of his noodles are going to be disappointed when they go looking for him in 2012 but let’s hope that he can be persuaded to pick up his chopsticks again! Penny said: We prepared more to serve on the last day but it was still not enough! What a pity! Shaun said: I'm absolutely gutted about this news! It's a sad day for foodies. The last time I ate there was almost two years ago. I should come back [from Australia] and reach out to him with a proposal to set up a shop with his recipe and offer him royalties - just to keep it going! I thought I was early on a weekday visit to the newly opened Johor Premium Outlets but from the number of cars in the carpark, many obviously came earlier. 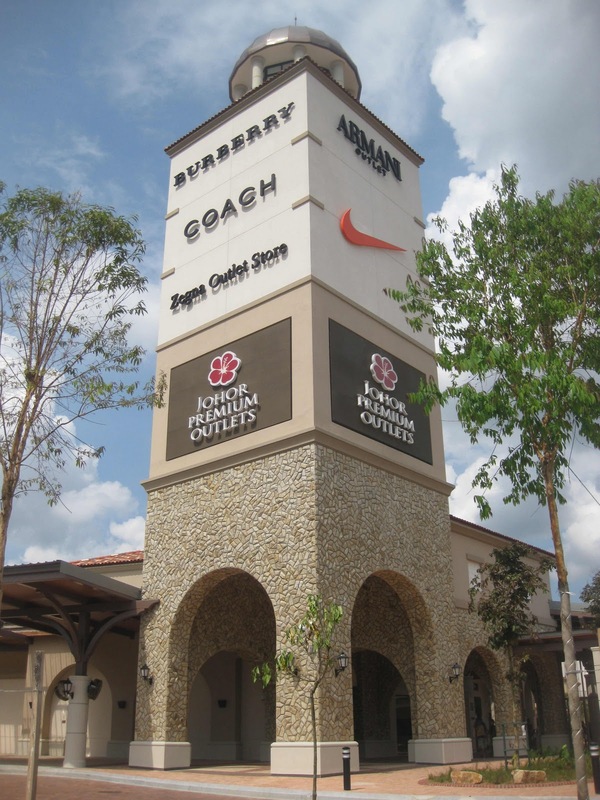 Since the much anticipated Johor Premium Outlets, the first Premium Outlet Center in South East Asia, opened its doors on 2 December 2011, it has been attracting shoppers from around the country and from across the Causeway. Without a moment’s hesitation, I walk into a crowd of shoppers and see many families with kids comfortably ensconced in baby strollers and some with their elderly transported on wheelchairs. Many shoppers are already holding bags with designer brand names emblazoned on them and I’m determined to check out what’s available and so irresistible. With the festive season just around the corner, there is every reason to shop and the good value prices must be very persuasive for shoppers to pick from the wide range of brands all in one place. I’m partial to occasional shopping sprees and as I walk down the two-level street mall, I steel myself to the tempting bargains that are calling out to me at every turn. Whoever coined the phrase “retail therapy” knows what she’s talking about because it’s certainly therapeutic to browse around to get the best buys. As this is my first visit, I find my way to the Customer Service and Information Centre to grab a map for an overview of the layout so that I can zero-in on my favourite brands’ outlets. My strategy is to start from the Low Street and work my way up to the High Street on the next level, to check out the merchandise in all the 80 outlets. The street mall is designed with wide pavements and landscaped gardens between two rows of outlets in a unique outdoor setting, with stairs and escalators as well as elevators at opposite ends of the streets. On each level, tinkling fountains are centerpieces that provide cool respite for shoppers hot on the bargain hunting trail. The squirting fountain on High Street, surrounded by outlets for Guess, Armani Exchange, Burberry and Adidas, is a welcome stop because there are nearby benches to relax while the kids enjoy themselves in the adjacent play area. I overhear someone glibly comment, “You can never have too many pairs of shoes,” and smile in agreement as my eyes survey the range of elegant footwear in Charles & Keith Reductions. Then, encouraged by value-minded shoppers at Vincci who are digging into a pile of fashion footwear, I enthusiastically join shoppers to try out the range of comfortable walking shoes in Clarks, Sketchers and Geox. Over at the Nike and Adidas outlets, I can see why many shoppers are also trying out trainers and sports shoes for the best fit from the wide range of attractive designs. 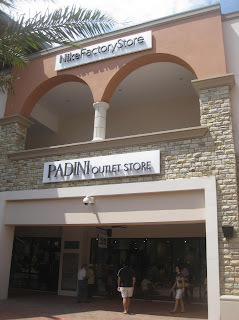 There is also a neat selection of leading designer names for fashion and sportswear like Adidas, CK Calvin Klein, Coach, DKNY, Gap, Lacoste, Levi’s, Quicksilver, Roxy, Ferragamo, Shanghai Tang and Timberland and quality brands like Bonia, Carlo Rino, Esprit, G2000 and Padini beckon and I take my time to check out a mind-boggling choice. I must say that I’m rather impressed with the customer service as most shop assistants are trained to interest potential customers with their quality merchandise. When approached by a helpful assistant, I seize the opportunity to quiz him about his experience with shoppers and learn that with savings of up to 25% to 65% daily, business has been brisk. 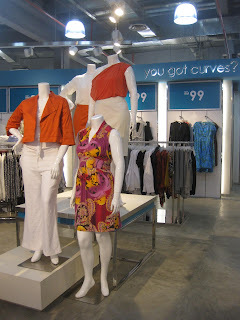 Flow has fashion for full-figured women! After a few hours of serious shopping, it’s time for a bite and a quick check of the map points me to a choice of designer coffees or teas at Starbucks and The Coffee Bean & Tea Leaf, ice-cream at Baskin-Robbins or Absolutely Thai for Thai food, English fare at George & Dragon, Japanese at Kampachi or Chinese cuisine at Taang Shifu. There is also a Food Court but I’m not going to lose a moment of my precious shopping time. I decide on George & Dragon because they serve a quick set lunch. Fortified by a tasty hot meal, I’m back on my shopping quest again! It’s good that the mall has gifts and souvenirs outlets for chocolate, cosmetics, fragrances and Malaysia’s renowned Royal Selangor because tourists can buy something special home. 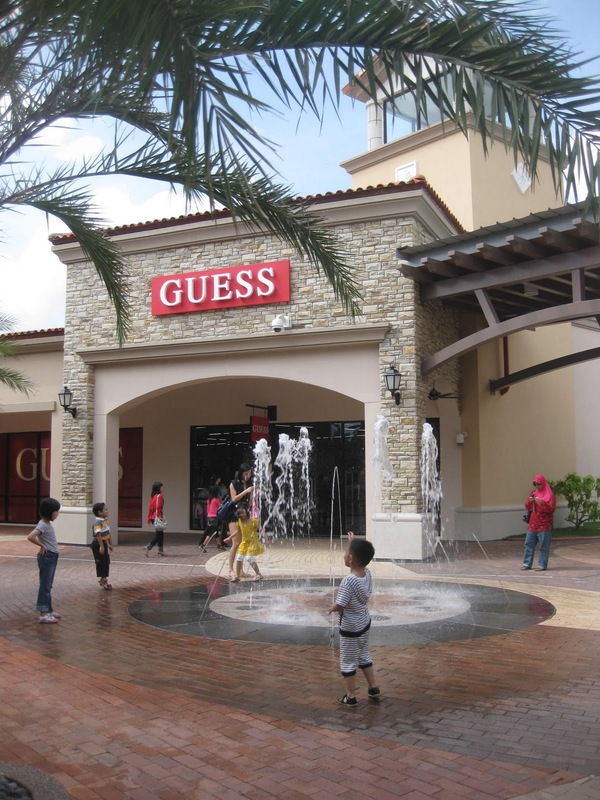 There are also ATMs and foreign currency exchange facilities and even international shipping services for the shoppers’ convenience. Just as I thought I had exhausted my mall exploration, I discovered Flow – a first in Johor Baru – and am thrilled that they are dedicated to fashion for the full-figured woman! At last, well-endowed girls can get contemporary, casual, career and evening wear in sizes up to US16 here and at affordable prices. Oh yes, I certainly didn't go home empty-handed! Merry Christmas! Thanks to your story, I just got a pair of jeans from Flow at JPO. Yay they fit perfectly! In my childhood, holidays and Christmas are what I look forward to as the year draws to a close. 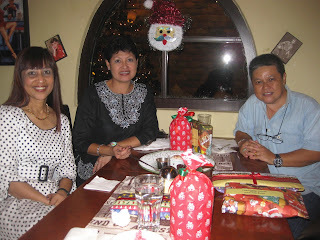 But sometime in the week before Christmas our family would go to Ah Kong or grandfather’s house at No. 154 Jalan Ngee Heng for dinner. 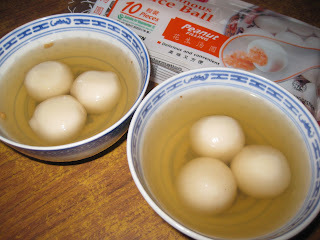 I remember it was almost like a Chinese New Year reunion dinner where we meet our cousins and eat a big meal together but the difference is the fun we had making and playing with glutinous rice balls. That was because grandma had the tradition of celebrating one of the most significant Chinese festivals, Dong Zhi or Winter Solstice Festival. I later learnt that unlike most Chinese festivals that are based on the Chinese lunar calendar, Dong Zhi is based on the Gregorian or Western solar calendar. The festival, which usually falls on or around 22 December, occurs when the earth’s axis is tilted furthest away from the sun, resulting with the shortest daylight hours and the longest night of the year. On that day, the kitchen in Ah Kong’s house was a hive of activity from early afternoon for the preparation of glutinous rice balls or tangyuan for afternoon tea and a sumptuous spread for the family dinner later. Grandma had a huge kitchen and dining hall with a large round dining table as the centerpiece. I remember watching grandma, deemed the chief cook, amazed at how she could work so well with her daughters and daughters-in-law who helped with the various food preparations. The formica-topped table would be cleaned for grandma to knead glutinous rice flour into the right consistency. The dough would be split and one part mixed with red food colouring to create pink coloured dough. 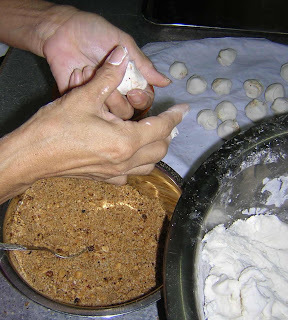 Then the fun begins when extra pairs of hands were invited to help pinch portions of the dough to roll into round shapes and line them neatly on trays, taking care to keep them apart or they would stick together in a clump. I was a volunteer in helping to roll the dough into little balls and learnt that it was a skill to consistently create round shapes in the required standard size. My little palms did not get it right the first few times so it was heart-breaking to have my ugly creations squashed and re-moulded into shapes that better resembled spheres. I also learnt that speed in producing more was not a priority but the skill in consistently creating round balls of equal size. The best part of this activity was at the end when there were sufficient tangyuan made and the balance of the dough was left for the children to play. We would apply our own creativity to mould the dough and have much fun designing various shapes and creatures, and sometimes when grandma was not looking, we would also get them cooked! If the dough started out white in colour, by the time we were done playing, it would have turned into a strange dirty shade! At that time, I had no idea why tangyuan were eaten but I learnt that the celebration was a form of Chinese Thanksgiving where there was ancestor worship and family dinners. It is significant for Chinese to eat the tangyuan together as a family as the round shape of the balls and the bowls in which they were served, symbolize family togetherness. In China, this annual tradition of eating tangyuan welcomes the winter and also counts as a year has passed. 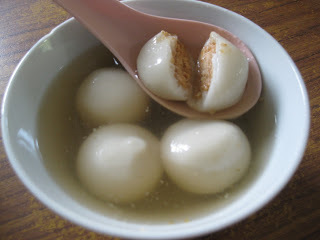 I remember being told that I’m a year older as I munched the chewy tangyuan balls. I was puzzled as it made no sense to me then but now I know. I recall my aunties used to be anxious to reduce the number of tangyuan in their bowls because they erroneously claimed that eating each tangyuan added another year and they were in no hurry to age! Thinking of grandma’s tangyuan, I can almost smell the fragrance of that rich ginger broth flavoured with syrup that she used to brew. When we were ready to eat, the raw tangyuan would be dropped into the boiling broth and cooked instantly. Grandma would usually serve an equal number of tangyuan in white and pink colours in each bowl. In those days, everything was made at home from fresh ingredients but now tangyuan are factory mass-produced and packed for sale as frozen food. While it’s now common to have tangyuan that are stuffed with various sweet or savoury ingredients or tinged in a range of colours, grandma’s traditional recipe was for plain glutinous rice balls in two colours – white and pink. Many restaurants and hawkers serve tangyuan as dessert and it’s available from the freezer all year round so now we don’t have to wait for the Winter Solstice or any festival to enjoy this delicacy. This year, the Winter Solstice Festival falls on 22 December and Chinese families who have this tradition would be gathering for a celebration. With grandma now aged 99 and the house at Jalan Ngee Heng demolished, all that remain of grandma’s Dongzhi are only memories. So whenever I taste tangyuan, I have the fondest thoughts of our family fun and bonding at this annual festive meal in grandma’s kitchen, so long ago. With so much festivities lined up in December, it’s always a challenge to find a mutually agreeable date for dinner. But we manage to do so year after year because we have an annual tradition for a two-in-one celebration of Christmas and Wei Leng’s birthday on 21 December. Like many December babies, Wei Leng graciously accepts her two-in-one gift because her birthday is so close to Christmas! 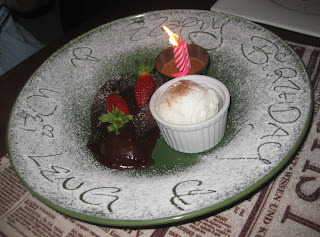 This year, I picked Grill Bar and planned the simple celebration with my friend, Gary Hong a. k. a. Chef Ozzy. Sit-coms like “Cheers” made us appreciate places where “everybody knows your name” and for me, it felt like this at Grill Bar. 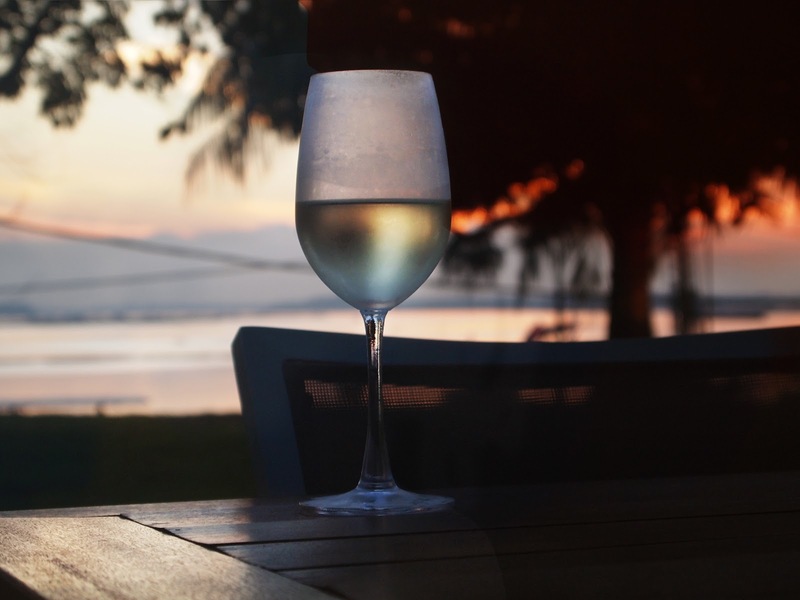 The moment I step through the door, the friendly waitresses greeted me with, “Good Evening Ms Peggy!” Throughout the evening whenever they spoke to me, almost every line was politely punctuated with, “Ms Peggy!” Wow! This is truly personalized service! Their greetings was within earshot of other diners because I soon heard a young voice coming from the family dining at a nearby table say, “Auntie Peggy” and I turned to see young Ajay munching on a pile of plump fries. What a pleasant surprise! After a pause for warm greetings and well-wishing with his mum and family, I was ushered to our table but before turning into the private alcove, I spotted my feature on Grill Bar posted prominently on a pillar. While we reviewed the menu, the hostess efficiently recommended the day’s Specials from a chalkboard. After a bit of conferring, we settled on our own choice of soup with a salad, a pizza, pasta, a fish main course and a Special dish, all to share. We are always greedy to try as many items but with limited space in our stomachs, sharing the meal is the most pleasing and rewarding solution. Linda and Wei Leng chose their favourite Mushroom Soup while I picked the Seafood choice. 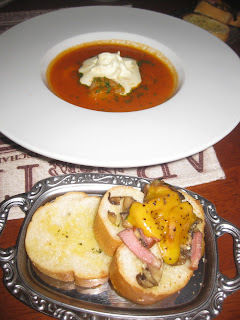 When the soups were served, I noticed that they were specially served with a side of Ham Bruschetta instead of the usual slices of buttered bread. I appreciate Chef Ozzy’s kind gesture and realize that it’s my privilege to share such special treats with dear friends. It was an indulgence to dig into the rich, thick taste of our Blue Cheese Salad and savour the pungent and distinctive flavours on crisp fresh vegetables, tiny halved tomatoes and crunchy walnuts. Our pizza was more of an American flatbread, a wafer-thin base loaded with slivers of tasty duck and yummy fresh ingredients. This certainly whet our appetite for the main course of Grilled Fish – a delicious dish of thick fillets of butter carp fish, swimming in a rich seafood bisque with a side of roasted new potatoes and a portion of crispy broccoli and tiny carrots. “No need to fight over it,” said Wei Leng with mock reassurance when the meatball pasta was served. I understood when I counted six meatballs for an equal share of two each among us. 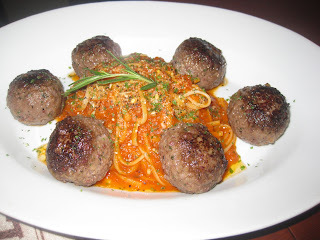 These are no ordinary meatballs but juicy, giant, flame-broiled Angus beef meatballs that are not only awesomely tasty but just two were ever so filling! Burp! Having done justice to such a sumptuous meal, it was time to sit back and let the food settle before contemplating our sweet ending. 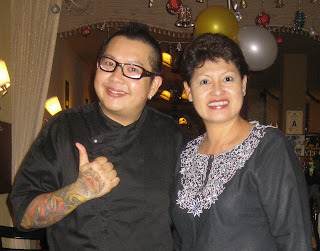 Chef Ozzy relieved us from the difficult decision for dessert because he had already made the choice for us. Aware that we were probably up to our ears in food, the hostess brought us three spoons to share our dessert. By then it was way pass the peak dining hour so Chef Ozzy popped out of the kitchen to mingle with guests and ended up sitting with us for a chat. He is certainly one to watch because since I last met him, he has changed his hairstyle from a long-hair frizz into a neat close-shave with a distinctive mohawk! I thought his creative persona is boldly reflected in his interesting hair and creative food presentations. To encourage him to keep food standards and service quality consistent, we shared with him, our compliments and comments about our meal. We were keen to come back again for more but he modestly told us that Grill Bar was already fully booked for private events over this festive season. While it was a tad disappointing for us, this was really so good to know from a business point of view! It was late and the gentleman in Chef Ozzy, took time to walk us to my car to see us safely off. It was a fitting end to a lovely celebration and like other satisfied customers who were waving “Goodnight” we agreed that it was great to celebrate the love of friends and family in a gracious place like the Grill Bar. As we piled into the car, I remembered to check and was relieved that Wei Leng did not take that decorated plate home! For this festive season, a menu of Magical Christmas Treats like Roast Turkey with Chestnut & Mushroom Stuffing, Wagyu Beef Stew in Hunter Sauce and Rosemary Rack of Lamb are among the items available for takeaways orders. For enquires and orders, Tel: 607 – 3333 400. Grill Bar, the American Bistro is at No. 202, Jalan Sri Pelangi, Taman Pelangi, Johor Baru. ﻿﻿An escapade to the Thistle Port Dickson Resort & Spa does much to help Peggy Loh recover from the stresses of daily life. What’s your idea of bliss? For me, it’s the pure pleasure of tasting a tub of Belgian Chocolate ice-cream on a hot and humid day, soaking in a luxurious long-bath, chilling out in a sun-warmed pool or surrendering my body for a deep-tissue massage. It’s probably one or another of such selfish indulgences but every now and then, I think I deserve to spoil myself, not with just one but all of the above! When my friend, Aidah, suggested a retreat to relax and recuperate from the daily grind, I did everything possible to match our calendars for this much anticipated escapade. Then after months of planning, we were finally on our way to two days of serious pampering at Thistle Port Dickson Resort & Spa. The smooth drive from Johor Baru to Teluk Kemang brought us to the beach resort just as the sun was setting and I can’t forget that first sight of how the airy lobby was bathed in a golden glow. 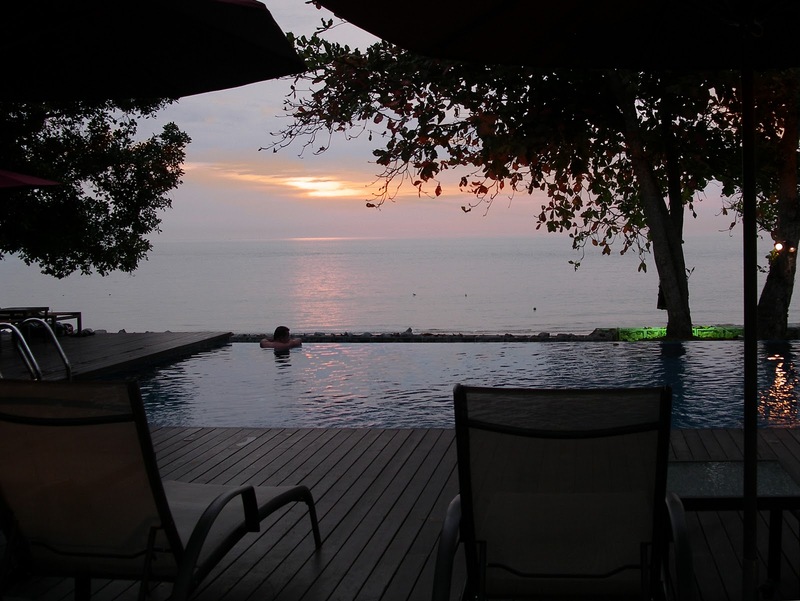 I still have a vivid picture of that panoramic view from Steps, the lobby lounge, with guests lazing in the Jacuzzi and pool, surrounded by swishing palms, set to a backdrop of sunny streaks reflected as a thousand diamonds on the shimmering sea. “Can I have more than one spa treatment in a day?” I wonder aloud because I aim to do everything possible to pamper myself in a short time. To get all our questions answered, we take a short walk to Santai Spa that’s housed in a separate building just a stone’s throw away from the hotel. Even before we reach the spa, I can taste a heady scent in the air and when I step into its lobby, I’m wrapped in a Rose-scented cloud! I learn that many spa treatments work in synergy with each other and therapeutic effects can be extended and improved by having more than one treatment in the same day, so I schedule three treatments over two days. Guided by the experienced therapist, I pick treatments to detoxify, energize and simply to relax under her professional hands. I know that many treatments use pressure techniques so I make a mental note to have light meals before my appointments. 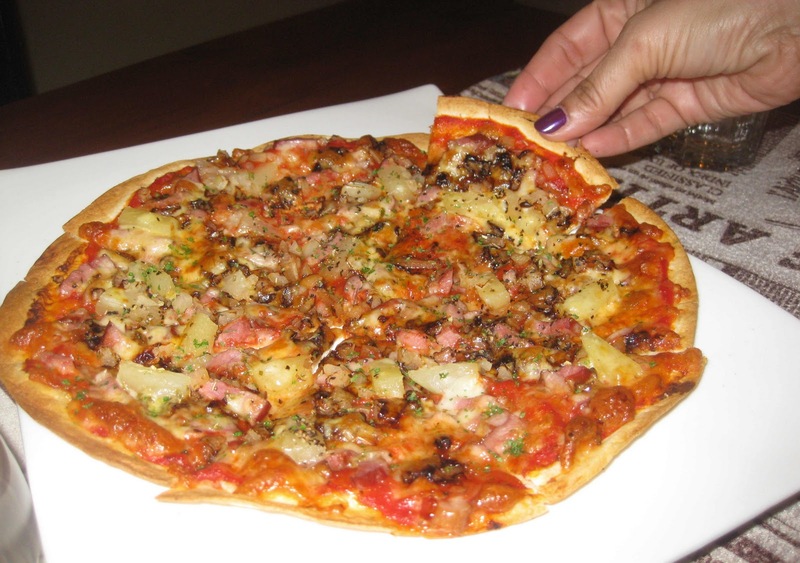 But that’s tomorrow so tonight, I can still enjoy a sumptuous meal at Glass, the resort’s Italian-Mediterranean restaurant. Glass is so named probably because the entire wall on one side of the restaurant is made of floor-to-ceiling glass doors that open to a wooden deck for a choice in alfresco dining. Mindful of how our meals should also complement the impending therapy sessions, I choose a small soup and a main course of pan-seared cod while Aidah picks a prawn appetizer to share. We agree without guilt or hesitation that our dessert of a creamy hazelnut gelato is but a tiny treat! When we find our way to Cumulus, a two-tier chill zone, many guests were already grooving up to cloud nine with live music entertainment. Comfy sofas were arranged around the entertainers on one level but we decide to sit at the lower level, close to the sandy shores. The echo of the constant rush of gentle waves is both soothing and refreshing as we watch twinkling lights from passing ships and tankers on the horizon. The Malay word, santai simply means relax and that’s exactly what I aim to do in Santai Spa. As I sit on the sofa to sip my tiny cup of tea, I’m ready to surrender my tired body to the therapist’s professional touch and begin a spa journey to restore a healthy balance to my mind, body and spirit. In a few moments, Salina, my therapist usher me into the locker room to change into a comfortable robe and when I emerge, she’s waiting just outside the door. 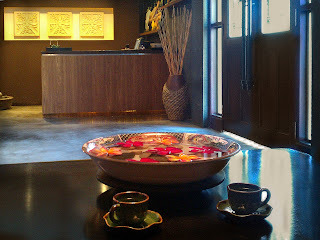 Then she leads me to a therapy room for my experience of Santai Spa’s signature aromatherapy massage. ﻿﻿﻿“Is the pressure ok?” I hear Salina ask as she started with the professional ministrations of this deep tissue massage. But I only manage to mumble, “Hmm” in response because her firm touch is reaching in to undo the knots in my very knotty sinews. I wish the 80 minutes will pass more slowly because I feel almost bereft when her hands leave me at the end of the session. Feeling well relaxed, I float out smelling like a rose because the gentle and calming massage is enhanced with aromatic Rose essential oils. After a fun afternoon at Lukut Museum and a straits cruise around Cape Rachardo to feed fish, I’m back in Santai Spa for my foot reflexology treatment. As Mia, my therapist applies acupressure on my tired feet she answers my queries about which part of the body is linked to those reflex zones. The finger-point pressure from her strong hands certainly works wonders to unclog energy flow in me because I see Mia pause a few times in her skillful ministrations to giggle. I guess she’s just amused at how ticklish I am! At my body polish treatment, before Salina starts to spritz water mixed with lemon essential oils all over my back, she warned, “This will feel a little bit cool.” As she gently scrubs with a mixture of strawberry, pineapple and apple extract, I can almost feel my skin detoxify and regenerated with the removal of skin impurities. After a soak in a tepid bath enriched with micronized seaweed to sluice off the scrub ingredients, Salina smoothes a body milk moisturizer all over my new skin that feels almost as soft as a baby’s bottom! She wraps me in a soft robe and rounds off the treatment with a gentle back massage that aptly completes my blissful sensory experience in Santai Spa. Thistle Port Dickson Resort & Spa is situated at km16, Teluk Kemang, Port Dickson in Negeri Sembilan. It’s a beach front resort with resort accommodation that combines lush surroundings and stimulating environment for business or pleasure. A level lawn adjacent to the sea is an ideal spot for special events and corporate groups enjoy excellent team-building exercises at the Superior Work and Attitude Training or SWAT Camp. Allan Fernandez, 34, splits his time between managing a clinic group practice and EightLido, a destination fast gaining a reputation as the coolest chill-spot in JB. I’m the older of two brothers, born to medical doctor parents who have a private practice in Johor Baru. 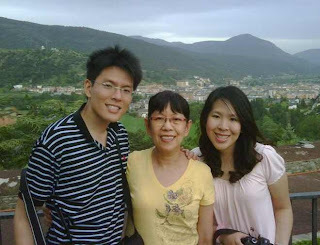 Coming from a medical family, one would presume that my parents would force me into medicine but they did not. I was such a voracious reader that after reading my own books, I went on to read my parents’ medical journals, and as a result from an early age, I developed an interest in medicine. I went to kindergarten at Hilltop Private School and started Primary school at SK Temenggong Abdul Rahman (STAR) II. At age 10, I was transferred to study in a primary school in Woodlands, Singapore. I had to wake up at 5am for the daily commute across the causeway for morning school and usually did not get home until about 3pm. When I was in the afternoon session, I would be lucky to reach home by 10pm. I started secondary school with St Patrick Secondary but was later moved into a boarding school. After completing ‘A’ levels at Methodist College, Kuala Lumpur, I went on to university in Melbourne. But before leaving for studies abroad, I worked with my father and learnt the ropes in his clinic group practice. My father let me attend an Asia Pacific Healthcare Administrators Conference and at age 18, I was probably the youngest participant. There I met some of the most experienced healthcare administrators in the region and learnt that hospital administrators are non-doctors. 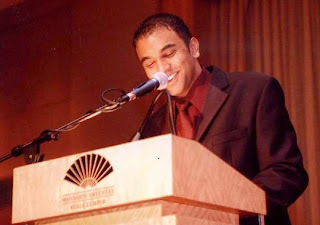 This was a turning point in my life and my father was ecstatic when I made a decision to pursue studies in this career. By this time I had spent about 10 years away from JB and university life in Melbourne was so good that I thought I would never come back to JB again. In May 1999, I received a phone call asking me to go home as my father was very ill. At first, I thought it was his weak heart but later found that it was leukemia and the prognosis was fatal. The next six months was the most difficult time of my life as I shuttled between Kuala Lumpur where my father was hospitalised and JB to look after the group practice. I was 22 and my brother, 16, when my father passed away and while my peers were starting their first jobs, I headed JB’s largest group practice. I spent the next few years salvaging the company and restructuring the business while I encouraged my brother to complete his education and saw to it that my mother lived comfortably. In addition to administrating our group practice, I also provide admin consultancy to other hospitals. From four clinics, the group has now expanded to eight clinics. Our group also obtained the first wholesale pharmacy license in a medical practice. While I was busy with my filial duties, I was never committed to JB and unprepared to grow roots here. I thought that when the business was going smoothly and when my mother retired, I will leave. Virtually none of my friends are here and over the last 11 or 12 years, I used to spend my weekends either in KL or in Singapore. In the last two years, I saw such a great deal of changes in the city that was not seen in the last 20 years. I feel a renewed sense of optimism as people are looking for good things about JB and I thought, its about time I did something to dispel all the untruths about JB. My parents accomplished so much here and while they travelled the world, yet they came home to JB – and if JB is good enough for them, it’s also good enough for me. This is the first of what I hope, is a destination in JB that is more than just dining and drinks. Johor is rapidly developing into a modern metropolis and if Iskandar Malaysia is to succeed, JB must also be ready for the population migration here. I look forward to welcoming the professionals who come here to work because they and their friends and families will certainly need somewhere like EightLido to dine and unwind. The school holidays are here again and your children would be eagerly anticipating some family time together, especially on weekends. 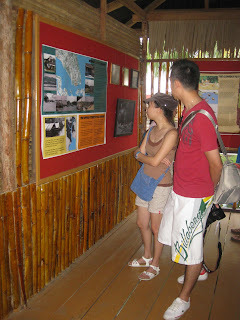 You know some outdoor adventure would be great for family bonding but you cannot take long leave. The pressure is on and if are cracking your head, wondering what to do with your children during the holidays, you will be pleased to know that there are simple solutions right here. “You don’t have to go far for a change of scenery,” said Chua Poh Kok, Operations Director of Prima Sierra Holidays and committee member of the Johor Tourism Association. “The holidays are an excellent opportunity to take the children out to explore the latest developments in Nusajaya,” he added. Chua said the smooth drive from Johor Baru will take you to discover nearby sites like Kota Iskandar and Puteri Harbour. 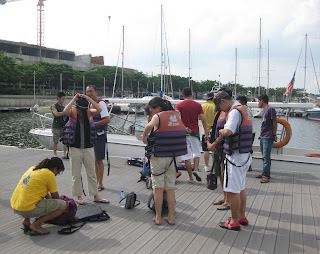 He said at Puteri Harbour, visitors have two tour options by water taxis. One is for a straits cruise that allows visitors to enjoy the scenic sights of water villages like Kampong Tebing Runtuh along the Tebrau Straits en route to the Second Link Bridge. The other option is for fishing enthusiasts to enjoy the thrill of fishing from a floating platform at Lido Village Fish Farm. Another option includes a visit the Seletar Cultural Center at Kampong Sg Temon Baru Skudai to learn more about the indigenous people. Security is a priority and all the water taxis are equipped with life-jackets for passengers to wear on board. These speedboats, helmed by licensed pilots, have a maximum capacity for 16 passengers. 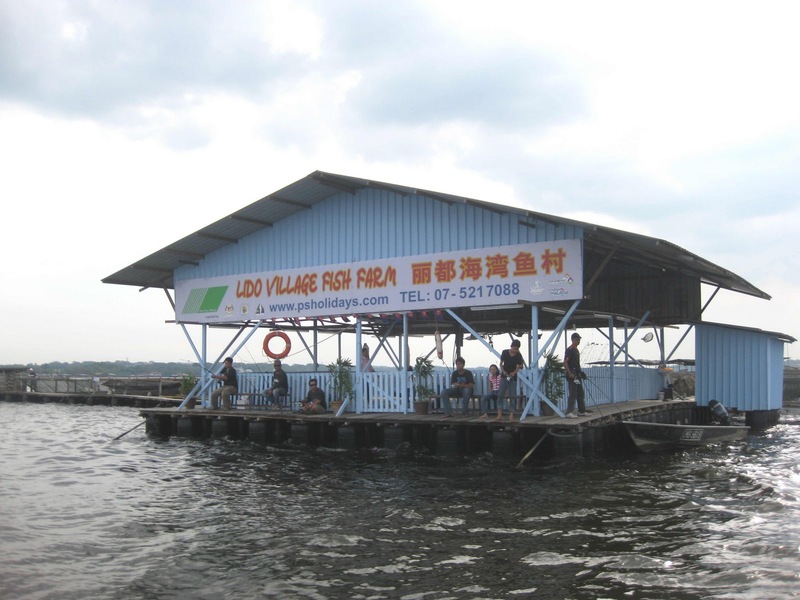 Lido Village Fish Farm is the largest milk fish farm in the state and Johor is so far the sole producer of milk fish. The farm, located off the coast of the Danga River, started in 2000 with only three cages on a raft but has expanded to the size of four football fields. While the farm experience is an added option, fishing enthusiasts can hire a fishing rod at RM15 with bait for a relaxing day of fishing from the floating platform which is equipped with toilet and washing facilities. Chua, himself a fishing enthusiast, devised a safe way for young children to have their own fishing fun while the adults concentrate on their pursuits. 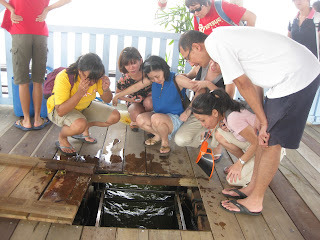 A square trapdoor is built into the floor of the platform which opens up as a fishing spot for children. For added safely, a stainless steel cage is sunk into the hole so that anything that happened to fall in can be easily retrieved. “You can bring your own food and have a picnic while you fish,” said Chua, emphasizing how pleasant it is to spend the day on the platform which is so securely anchored down that you can hardly feel any movement. If you still feel hungry and wish to buy snacks, there is also a convenient order service for food from nearby seafood restaurants with an additional delivery charge of RM10. It’s a holiday after all so you can order in takeaways like chillie crabs or fried squid to enjoy. 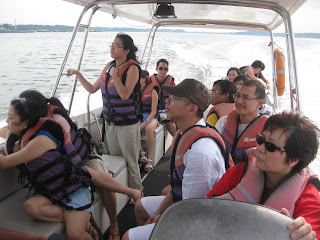 The water taxi tour is RM20 per person for a minimum of 8 persons while the boat and fishing package is at RM45 per person with no charge for any number of fish caught during the day. The schedule for water taxi departures from Puteri Harbour are at 10am, 1pm and 4pm. For more info and to make reservations, contact Prima Sierra Holidays on Tel: 607 – 521 7087 or visit website: http://www.psholidays.com/. 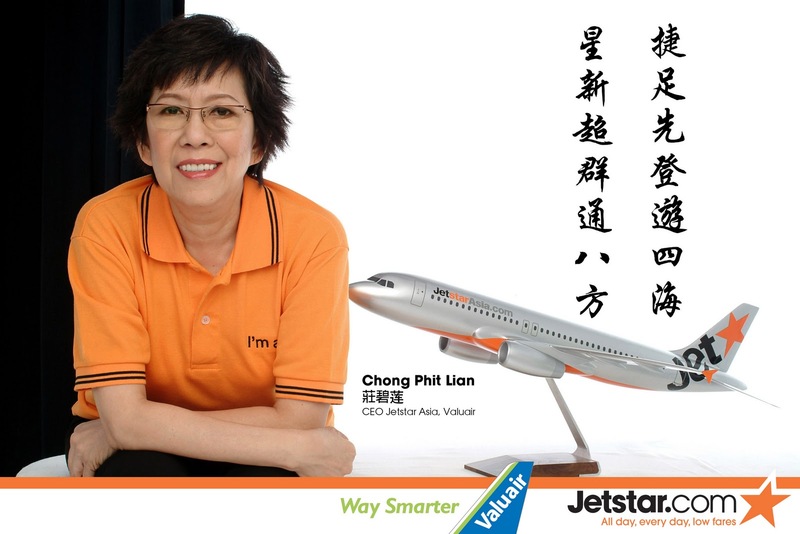 Chong Phit Lian, 59, alumni of Sekolah Sultan Ibrahim (SSI) Kulaijaya, is the Chief Executive Officer of Jetstar Asia Airways and Valuair. I was born in Kulaijaya, the third in a family of seven siblings. My father, a plantation contractor, enrolled me in the Kulai Chinese Primary School where I received a solid foundation in my education. Later I joined SMK Sekolah Sultan Ibrahim (SSI) as it was the only secondary school in Kulaijaya at that time. Although I was in a top class, I was not a top student because there were many who were considered the cream of the class. I was active in sports, involved with track and field events, volleyball, netball and a state player for basketball. As the Green House captain, I was often preoccupied with responsibilities or busy with games practice, which often caused me to miss lessons. I played center-forward position in netball and remember an incident when we were competing against a Johor Baru school that almost got me expelled from school. When I saw an opposing player behaving roughly against my teammate, I lost my cool and acted likewise. As a result, our Physical Education and Disciplinary Master, Khoo Boo Tee, hauled my team up to see the headmaster, M G Parry. While waiting to meet Parry, I was terrified and imagined all sorts of disgrace because if I was expelled, I would face my father’s wrath and even be caned. But I reasoned with myself that Parry would not kick all of us out because there were four house captains among us and they were also the school’s high-achievers. As he was a sportsman, I believed Parry would understand and I gratefully benefited from his graciousness because he let us off with a stern warning and all of us completed our secondary education in SSI. I did not achieve a full certificate but this did not deter me from pursing further education in a Singapore polytechnic. I shared a rented flat with three other girls and while I had a small income from giving private tuition, I prioritized my expenditure to pay school fees, rental and buy food. Very often I went without three meals a day because I could not stretch my meager monthly budget and once when a tuition payment was late, I had to take a loan from a lecturer to pay my school fees. So it was a sweet achievement to finally obtain my Diploma in Production Engineering and I started my first job as a Technical Assistant. With plans to further my studies abroad, I took two part-time jobs, giving tuition in all subjects and selling insurance, to save enough money. After two and a half years, I had sufficient funds to give a lump sum to my mother while I applied to various bodies for additional sponsorship. 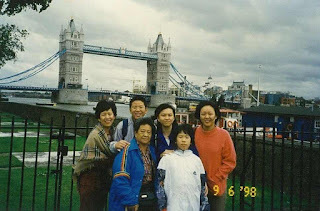 With support from the Chong Clan Association, the Hakka Association, the British Council and the Lee Foundation, I had sufficient funds to make my way to the United Kingdom for my first degree in Production & Manufacturing Technology at Aston University in Birmingham. I spent my holidays in a part-time job as a factory operator to save more money and continued my studies. However, I received a letter from my sister asking me to return home and when I did, I learnt that my elder brother had passed away, leaving his widow to care for a toddler and an unborn child. This created a heavier burden for the family so I decided to take my younger brother with me to the UK for further studies. It was a struggle but through hard work and sheer determination, I completed my Masters in Business Administration (MBA). Back in Singapore, I got a job as Workshop Manager with United Motor Works, looking after fabrication, construction equipment, forklifts and generators. 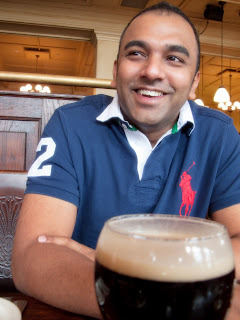 It was a tough job but with good bosses who challenged me I was promoted every 18 months and after seven and a half years, I was General Manager. In 2006, I joined the airline industry, taking charge of Jetstar Asia Airways and Valuair, with a commitment to turn the company around and make it profitable in three years. While skeptics were still questioning why I decided to look after “two sick birds” my team and a supportive group of shareholders helped me to turn the company around in two years. Now with a modern fleet of aircrafts and expanding long haul routes, the company remains very strong in the budget airline industry today. As I progress in my career, I often look back at my humble beginnings, recalling the hardship and struggles as there was little career guidance in those days. To help needy and hardworking students achieve their education goals, I decided to start the SSI Education Fund that will be administered by the SSI Alumni. I’m also ready to share my experience and offer counseling to guide youths to seek help from the resources available today and set them on track with their career paths.